In previous article we have already configure Rsyslog with MySQL database. In this article we will help you to setup web interface for viewing the logs using LogAnalyzer with Rsyslog and MySQL. Below are few configuration details which we used in part-1 to setup Rsyslog with MySQL. 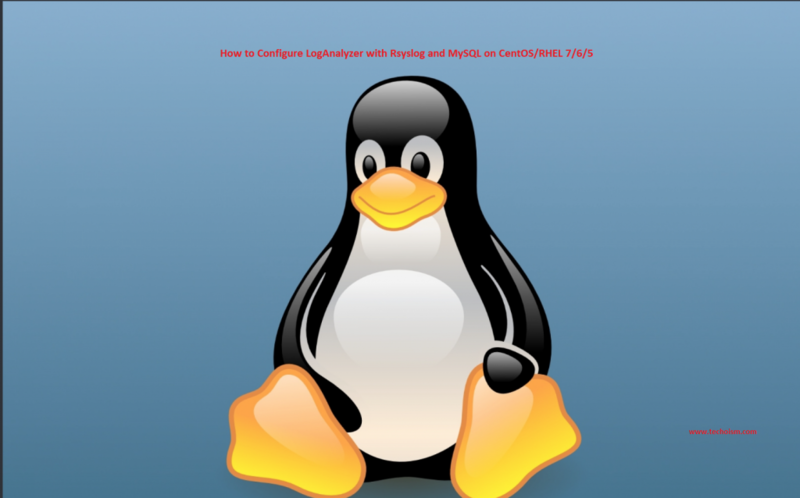 Let’s start the setup of LogAnalyzer on your Linux system with rsyslog database using the following steps. Download the LogAnalyzer latest version from its official download site or use the following command to download 4.1.7 (Current latest version) version and extract it. After extracting copy the required files to web server default document root as below. Now create a blank configuration file named config.php in loganalyzer directory and setup write permission to apache user. 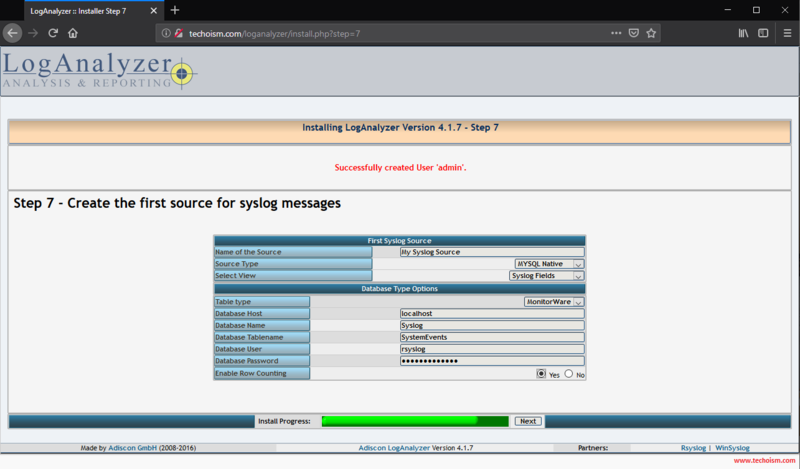 After completing all the above steps open following url in web browser to start LogAnalyzer web installer. Now follow the installer steps as per below given screen shots. Verify the file permission and make sure config.php is writable and click Next. Fill the database and other required details for loganalyzer, we can also use the same database used for Rsyslog and click Next. In this step installer will create database table. We just need to click Next. Tables has been created successful. Please check the list below for possible error If any exist and Just click Next. Now add the information of an Administrator account and click Next. Fill the Rsyslog database details and click Next. LogAnalyzer installation has been completed. We just need to click Finish. 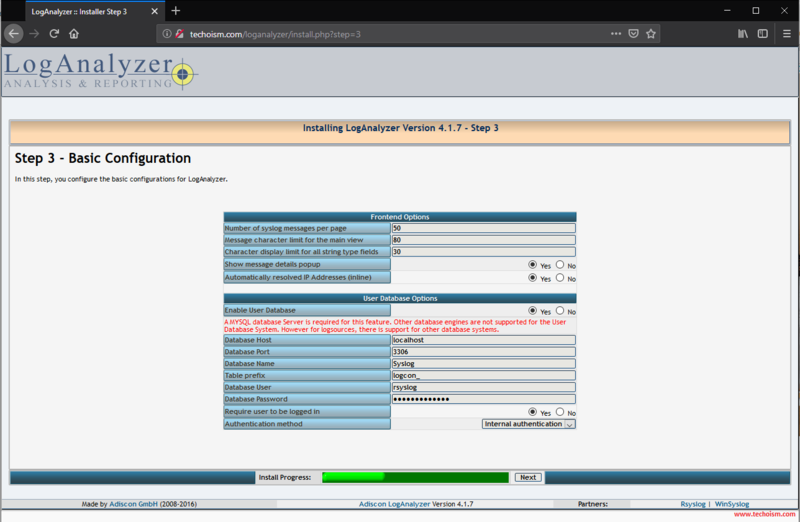 Login using Administrator credentials in LogAnalyzer. Now you are successfully access the loganalyzer.